A short chat quickly reveals that Clute’s warm, easy-going manner also helps make him one of Nashville’s sought-after Producers. But life in the business wasn’t always gold and platinum glitter. As with so many other producers, Clute started out “playing in the band.” In his case, that meant 12 years singing and playing bass in rock bands touring the Midwest and Canada, achieving what he laughingly calls “Rock Star” status in North Dakota, where he grew up. Eventually Clute built his own recording studio in Fargo, which is definitely one way to learn what works in music recording. It was after moving to Nashville in 1985 that Clute began to make his name in engineering and production, working as an assistant at Bullet Studios and later at Bennett House Studios with such hot contemporary Christian artists as Michael W. Smith, Amy Grant, Petra and Sandy Patty. He then encountered the group Poco, whose members thought so much of his skills in the studio; they asked that he join them on tour as their Front-of -House mixer. Besides Poco, Clute also did live mixing, road manager, and merchandise, chores for Kathy Mattea, and Michael Johnson. In 1988 Clute, along with Tim Dubois, Van Stephenson, Monty Powell and Dave Robbins, opened Midtown Tone & Volume right on Music Row. It was meant to be a 16-track demo room, but as his clients pushed him to the top of the Nashville charts, the modest demo studio grew to a cutting edge studio. That’s where Clute’s passion for technology comes into play- and that means lots of hands-on experience with the latest “black boxes” in the business. Testing and reviewing products and new technologies for pro-audio companies keeps Clute aware of the latest trends. 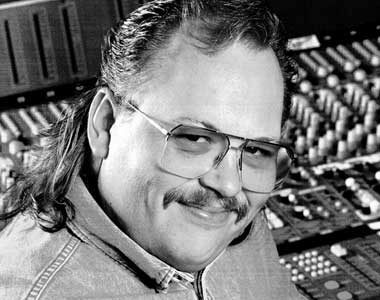 Credited with producing and engineering the first country album recorded entirely on digital hard-disk recorders (Diamond Rio with Fairlight MFX 48-track), and the first album mixed entirely on a digital console (Diamond Rio on AT&T digital console), and the first Canadian album on hard-disk recorders (Duane Steele with Otari Radar 24-track), he has helped lead the way by introducing new technology to the country music business. Michael Clute is one of the new breed of record producers out to get exactly what they need from the latest technology- and in the process helping to bring new heat to the capital of country music.